Kalanchoe Bronze Sculpture is the perfect name for this plant. 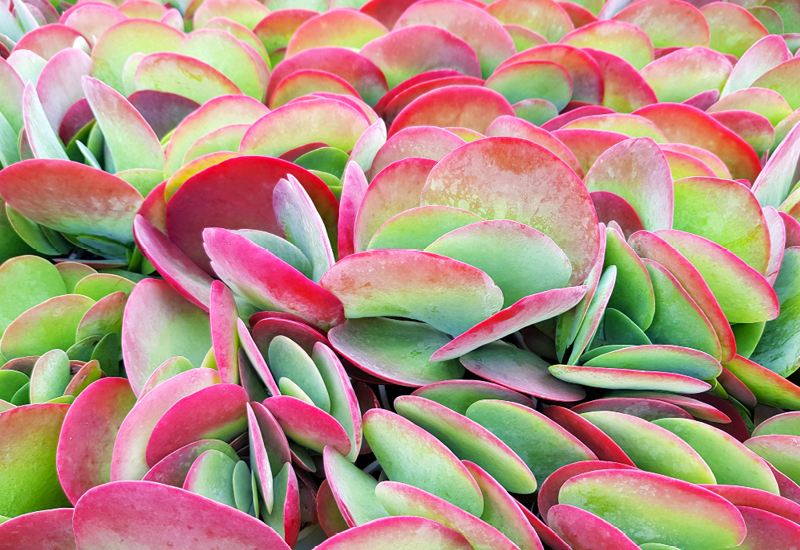 This stunning architectural succulent is like a work of art with green rounded leaves blushing to a vibrant red at the edges. It’s a very popular choice and is sure to turn heads when potted up in a medium pot. It can also be planted outside in your garden; Try planting in gravel gardens, paved areas, and rockeries for some interest.